Romans 2:25 (ESV) For circumcision indeed is of value if you obey the law, but if you break the law, your circumcision becomes uncircumcision. 26 So, if a man who is uncircumcised keeps the precepts of the law, will not his uncircumcision be regarded as circumcision? 27 Then he who is physically uncircumcised but keeps the law will condemn you who have the written code and circumcision but break the law. 28 For no one is a Jew who is merely one outwardly, nor is circumcision outward and physical. 29 But a Jew is one inwardly, and circumcision is a matter of the heart, by the Spirit, not by the letter. His praise is not from man but from God. V25 For circumcision indeed is of value if you obey the law, but if you break the law, your circumcision becomes uncircumcision. Paul draws a close to the second chapter of the book of Romans by stating that if you break one little aspect of the law, the rest of it becomes irrelevant. He gives both sides of the conversation in the above verse; the argument from the Jew will be that he is justified by the Law. That his salvation is based on the very fact that he is a child of Abraham and a follower of the precepts and creeds of his forefathers. James 2:8 (ESV) If you really fulfill the royal law according to the Scripture, “You shall love your neighbor as yourself,” you are doing well. 9 But if you show partiality, you are committing sin and are convicted by the law as transgressors. 10 For whoever keeps the whole law but fails in one point has become accountable for all of it. 11 For he who said, “Do not commit adultery,” also said, “Do not murder.” If you do not commit adultery but do murder, you have become a transgressor of the law. 12 So speak and so act as those who are to be judged under the law of liberty. 13 For judgment is without mercy to one who has shown no mercy. Mercy triumphs over judgment. Convinced yet? We are not saved by our works because like it or not we are fallen creatures, we may have the best intentions in the world but we have weak fleshes and despite a spirit that may be willing we will not always follow through in what we know is right and correct. I know for sure I could not keep 613 rules and regulations. (I struggle to keep New year’s resolutions more than 5 minutes) so what we are looking at is a matter of the heart, what is your core? Where is your heart? Are you righteous in your outward appearance or are you cleansed within? This all seems rather complicated but please read on. V26 So, if a man who is uncircumcised keeps the precepts of the law, will not his uncircumcision be regarded as circumcision? 27 Then he who is physically uncircumcised but keeps the law will condemn you who have the written code and circumcision but break the law. 28 For no one is a Jew who is merely one outwardly, nor is circumcision outward and physical. 29 But a Jew is one inwardly, and circumcision is a matter of the heart, by the Spirit, not by the letter. His praise is not from man but from God. And Paul writes here and plays on their prejudices by stating if that is the level playing field we are on then would the Gentile not be judged by the same rules as the Jew? If there was a Gentile proselyte so devoted to the things of God that his righteousness far exceeded those who were “of the law” would he not be as justified? A ceremony will not save you, having a Godly father, grandfather or relation who is praying for you will not save you, you have to make that choice for yourself. My greatest desire in life is to see my daughter and my brother walk in the life giving faith that I have found in Christ Jesus but they have to make their own choice. I pray that they pour into the Word of God and have a desire to grow in a day to day relationship with their Messiah Jesus Christ and have them know that if they were the only ones on the earth, Jesus would have died for just them. I have grouped the last four verses together because they are simply one thought and as stated a ceremony will not save you, simply by having what is in the country I have adopted as my own a standard medical procedure. We read here that the heart is the most important part of the day to day relationship with Jesus Christ and you can all be a Jew inwardly because of that circumcision of the heart. And believers in Jesus Christ have the Holy Spirit as a helper, we were promised by Jesus that we would have a helper and he keeps his promises. Matthew 6:1 (ESV) “Beware of practicing your righteousness before other people in order to be seen by them, for then you will have no reward from your Father who is in heaven. 2 “Thus, when you give to the needy, sound no trumpet before you, as the hypocrites do in the synagogues and in the streets, that they may be praised by others. Truly, I say to you, they have received their reward. 3 But when you give to the needy, do not let your left hand know what your right hand is doing, 4 so that your giving may be in secret. And your Father who sees in secret will reward you. Basically, run away, flee from any type of “look at me” thoughts that may come across your mind when you are doing ministry. It is always the people who you least expect it, but it may very well be you if that is something you struggle with. If you get peeved because you did not get kudos for a job well done then it may well be you. These verses that talk about the circumcision of the heart and the simplicity of the gospel make me feel all evangelical and make me want to go spread the word with an increased fervency in my neighborhood. I want to see my neighbors get saved, I want to see the street I live on get saved and I want them all to be mentored by God honoring, God fearing men and women and go out and reach others in their sphere of influence. I want to move the needle in my city for Jesus Christ and pack the churches in my town with people on fore for Jesus Christ. 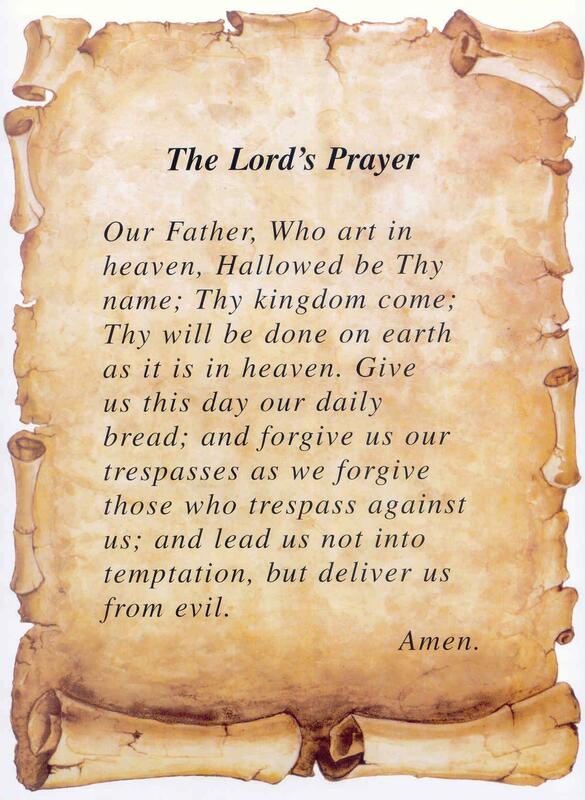 The LORD’s prayer – Part 5 – And lead us not into temptation, but deliver us from evil: For thine is the kingdom, and the power, and the glory, for ever. Amen. As we close our series on the Lord’s Prayer we see that looking back it has been a well thought out prayer and we close with what the musically aware people would call a “crescendo” we have learned that God’s name is to be hallowed, God is always on his throne in heaven, that His kingdom comes on earth and heaven, why we pray for our provisions and lastly we learned why forgiveness is key. Now we end with temptation and why that is such an issue. Fresh from the devastating revelations of the Ashley Madison hack and many people who teach God’s word being found online in a place that many would not have expected them to be, we realize that temptation is rife even in our churches. I am not going to labor the point here other than to say that this is a timely reminder of human nature and how far removed we are from the nature of God, even if we are immersed in doing his works. I urge you that even although you are reading a man’s words, do not follow the Pastor unless he is following the Master and at some point every man will let you down. That is as true today as it was when the world was created, in Genesis 3 Man only had one rule and the Serpent attacked that one rule right away and he did it by temptation, he twisted the words of God and coaxed the woman into quoting God into saying something that God didn’t actually say, from then on the temptation was set, temptation blossomed into sin and mankind was separated from God. That is how serious temptation is. Genesis 39:1 (KJV) And Joseph was brought down to Egypt; and Potiphar, an officer of Pharaoh, captain of the guard, an Egyptian, bought him of the hands of the Ishmeelites, which had brought him down thither. 2 And the LORD was with Joseph, and he was a prosperous man; and he was in the house of his master the Egyptian. 3 And his master saw that the LORD was with him, and that the LORD made all that he did to prosper in his hand. 4 And Joseph found grace in his sight, and he served him: and he made him overseer over his house, and all that he had he put into his hand. 5 And it came to pass from the time that he had made him overseer in his house, and over all that he had, that the LORD blessed the Egyptian’s house for Joseph’s sake; and the blessing of the LORD was upon all that he had in the house, and in the field. 6 And he left all that he had in Joseph’s hand; and he knew not ought he had, save the bread which he did eat. And Joseph was a goodly person, and well favoured. 7 And it came to pass after these things, that his master’s wife cast her eyes upon Joseph; and she said, Lie with me. 8 But he refused, and said unto his master’s wife, Behold, my master wotteth not what is with me in the house, and he hath committed all that he hath to my hand; 9 There is none greater in this house than I; neither hath he kept back any thing from me but thee, because thou art his wife: how then can I do this great wickedness, and sin against God? 10 And it came to pass, as she spake to Joseph day by day, that he hearkened not unto her, to lie by her, or to be with her. 11 And it came to pass about this time, that Joseph went into the house to do his business; and there was none of the men of the house there within. 12 And she caught him by his garment, saying, Lie with me: and he left his garment in her hand, and fled, and got him out. It is important to look at what Joseph did here! He was a slave, he was a servant in his master’s house, due to his diligence he was given authority over the house and the one thing he was not allowed was his master’s wife. His master’s wife was like the woman from Proverbs 7; she attempted to make herself alluring and offered herself on many occasions to Joseph. Joseph followed God’s plan and not his and even although he would most likely have got away with the sin he was being tempted into, he chose the righteous path. Are you like Joseph? If you could get away with it would you? Joseph suffered in the short term for being righteous, he spend a couple of years in jail where he worked diligently and then was trusted with looking after the other prisoners, what diligence and what humility that man had to follow God’s will even in the most dire circumstances! He was there until God gave Pharaoh a dream and again Joseph was again blessed more than he ever was before, God placed him in charge of the country! What a testament to following the will of God. 1st Corinthians 10:13 (KJV) There hath no temptation taken you but such as is common to man: but God is faithful, who will not suffer you to be tempted above that ye are able; but will with the temptation also make a way to escape, that ye may be able to bear it. 14 Wherefore, my dearly beloved, flee from idolatry. James 1:12 (KJV) Blessed is the man that endureth temptation: for when he is tried, he shall receive the crown of life, which the Lord hath promised to them that love him. 13 Let no man say when he is tempted, I am tempted of God: for God cannot be tempted with evil, neither tempteth he any man: 14 But every man is tempted, when he is drawn away of his own lust, and enticed. 15 Then when lust hath conceived, it bringeth forth sin: and sin, when it is finished, bringeth forth death. 16 Do not err, my beloved brethren. And lastly we have a reminder that “: For thine is the kingdom, and the power, and the glory, for ever. Amen.” And he is, he was and is and is to come, Holy is the LORD! One day we will be in glory with him and all of the struggles that we face today will pass away. What a day that will be! Anyone else looking forward to that one? I pray that this article has been educational, challenging, convicting and exhorting, I pray that you received it well and please feel free to like, share and comment on whatever social media you wish as the LORD leads you too. 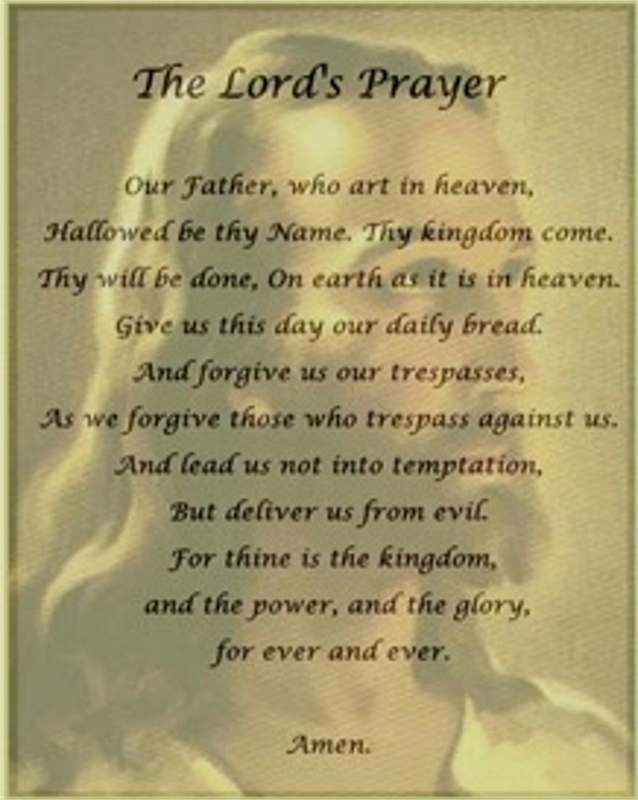 Jesus continues in his prayer, well I have always found it funny that we refer to it as the LORDs Prayer as it was a guideline in how WE should pray, it is OUR prayer too! After defending the name of God, giving the standard in which we should keep in honoring and keeping the name holy Jesus then goes on to talk about the heart behind the prayer. We can say these words in a mutter like, mumbling through fashion as I have many times and that it how I learned this prayer, but the point of these articles are to look at what it all actually means. We can say “thy kingdom come” until we are blue in the face but if your hearts don’t match the words then we have a problem. When you pray are you really asking for “Thy will be done?” and do you understand the level of surrender that would take to go all in? When we read the epistles we see often people who got this down, Paul, James, John, Jude & Peter all got this down by addressing or calling themselves either “servants” or “bondservants” of Jesus Christ in Epistles that are authored in their name. Are you getting where I am coming from now? By stating in prayer that you want the will of God to supersede and come first in your life goes against all form of human nature. Humans by default are more “My will be done” creatures and this will not come naturally. It is not in most people’s nature to serve first; if it is then I applaud you and wish I was more like you in that respect. I am a selfish person by nature and I do get aggrieved if I don’t get what I feel I deserve, so saying “thy will be done” the aspect of total surrender to a will that is not my own and a direction that in all actuality I may not like is something that I know I have to do but I do not find it easy all of the time. We know it is God’s kingdom; we are reminded of this at the start of the verse, when we do God’s will we should be looking to build up God’s kingdom and not ours. I think I have spoken prior about how I baulk at lots of kudos and praise from the front of buildings and I am not keen to have folks look up to me as someone who should know things. Why I teach a bible study I have no idea, the studies come from the Spirit and are very little to do with me, whatever God does in this mission field will be in spite of be and not because of me. We can’t plan out God’s kingdom, I know I have been guilty of this when I was a more immature Christian and this is exactly why God would only give me one piece of a puzzle at a time, I would be moving everything I could in order to do God’s work for him and often times that would not be in the timing that God wants. I am a knucklehead and despite the fact that I mean well, I would mess up if it was all up to me. All we are called to be is obedient and be ready to be used by God. Whilst it is his kingdom we have to realize that is true both “in earth as it is in heaven” that the will of God will be done in both places and the ownership of that kingdom is uniquely God’s. Let’s look at heaven, is there any sin? Is there any rebellion against God? Are there anyone standing against God in heaven? Of course not! We as Christians should be praying without ceasing for his will to be carried out not just in heaven, but down here on earth. There is still work to be done down here and the very person who is reading it might just be the tool used by God to accomplish the next task for him. Are you ready to request that his will be done both in heaven and on earth? Are you willing to go mind, body and soul into doing whatever God tells you to do to fulfill his will, his glory and his honor in your neighborhood? You won’t have to go as extreme as Jesus did when he fully submitted to the fathers will by becoming the sacrifice for our sins of a wooden cross on that dark hill at Calvary. Jesus is stating what he is stating knowing that he will do that for you, he did it for you whether you accept it or not, he rose again and conquered death on that third day to fulfil prophecy, show he was who he said he was and also meet with his disciples prior to ascending into heaven. Jesus is willing to put that into action, as one of his followers are you? Just as I could easily do a household chore without the help of my daughter, I know that when she asks “if she can help daddy?” Then I beam with delight and take her up on her offer of help. Our prayers to God are the same way, God can accomplish his will without our participation or prayer, however we get to pray and we are allowed to partake in the glory of God. Remember he is “Our father” and like any loving father he loves it when his children make contact with him. When was the last time you contacted him and gave him your all?